As East Africa’s largest building and construction fair, 18th edition Build Expo Africa 2015 is coming and will bring you latest technology in building and construction machineries around the world. 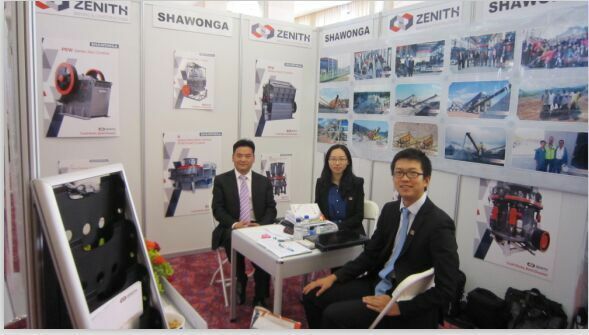 ZENITH will exhibit core stone crushing machines during May. 2nd to 4th, 2015. Based on 30 years experience of stone crushing industry, ZENITH have hundreds of customers around 130 countries, including friends from Kenya, Tanzania, Ethiopia, Zambia, Zimbabwe, Uganda, Somalia, Mozambique and Congo, etc. How many fast profits will ZENITH crushing machineries bring you? How wonderful ZENITH solutions and services are? ZENITH will be waiting for you in Build Expo Africa, looking forward to establishing cooperation with you and your company.